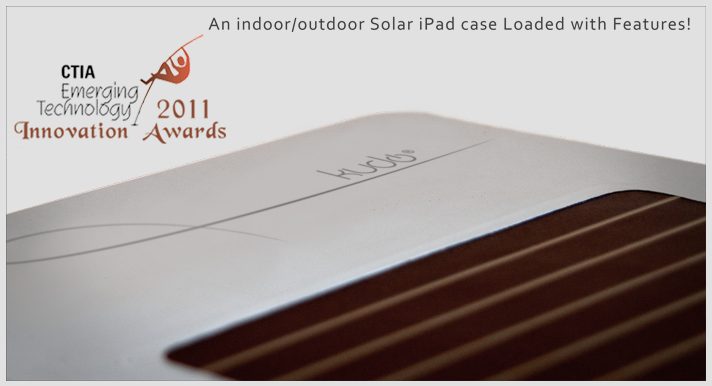 Why a solar powered Kudo Case for your iPad, iPad2 and iPad3? 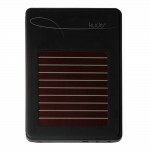 The case that uses light to power your iPad and corn grain to protect it could basically be called the Solar iPad Case. But Kudos is what it stands for. 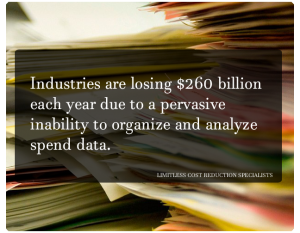 You’re making the innovative choice and also going down an environmentally friendly path; and that is what our philosophy really is. So…Kudo’s To You! An innovative concept using new solar technology to convert indoor and outdoor light into energy to charge the iPad. 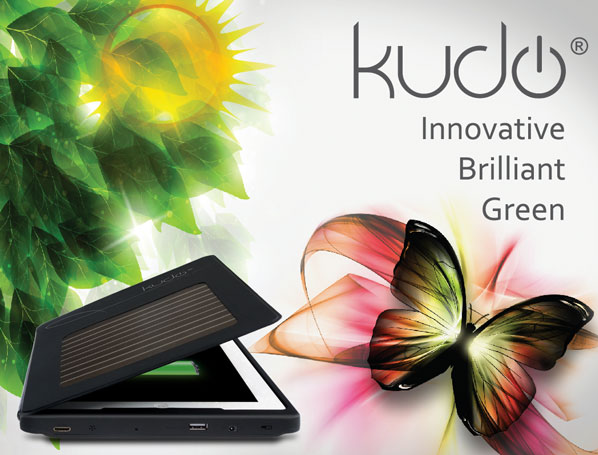 For the average user the Kudo can boast up to an impressive 10 days use on your iPad! The Kudo is essentially a self charging battery backup case. 10 straight hours of use is cool, but 24 hours is much cooler! 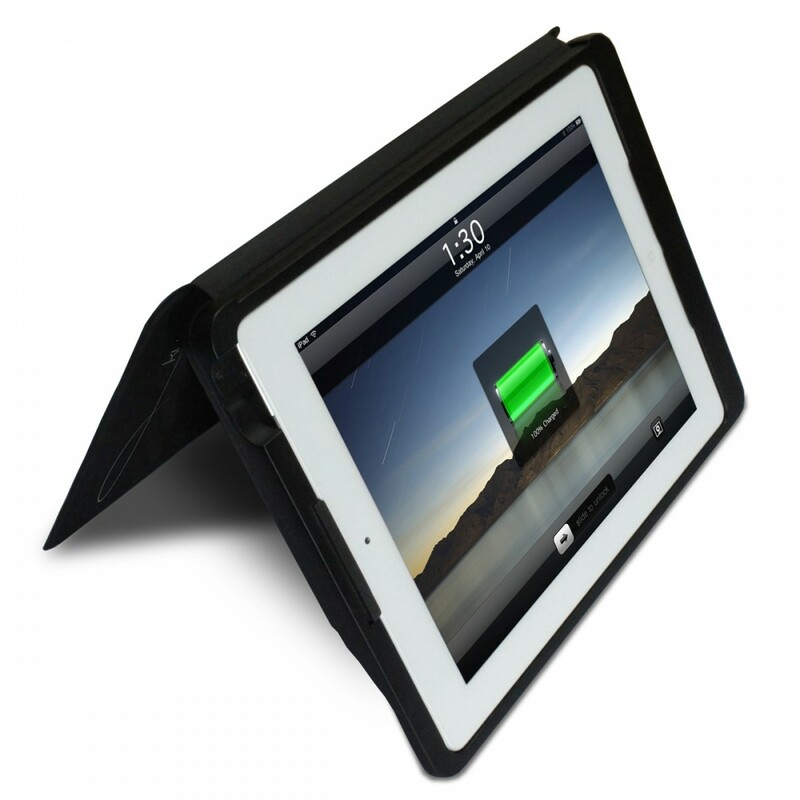 The case has a battery always storing energy and automatically charging the iPad day or night. There are stainless steel pegs in the back of the Kudo Solar iPad Case to prop different positions. The movie position makes it easier to watch movies while propped on a table or lap, to read recipes while cooking and so much more. The keyboard position makes it much easier to type on the iPad. We found propping the iPad up at a comfortable 15 degree angle makes a surprising difference on your comfort and typing speed. The Kudo charges more than your iPad or iPad 2… it powers your mobility! Avoid the headache of a dying camera, headset, or dead cell phone and just plug it directly into the solar powered Kudo case to charge it back up! That’s exactly what it sounds like. We know it’s easy to forget, when you’re at the office or at home and can’t find where you left your iPad just simply whistle and the Kudo will beep back to let you know where it is. The KudoMate is the perfect companion for the Solar KudoCase. Sleek, slim, and elegant yet with plenty of space and pockets for storage. It’s offered at a discount when ordered with the KudoCase. 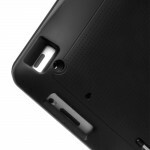 Oh yeah, the Kudo is also a hard shell iPad case with a soft rubberized coating. This cover is one you can be proud of made from biodegradable grain to be tough of protection while easy on the earth. Not only is the iPad Kudo solar power with a corn grain housing, to help this case shine even brighter we partnered with trusted groups to plant a tree for every iPad Kudo registered. Buy one Get one Tree! This will offset any potential carbon footprint left behind from manufacturing. 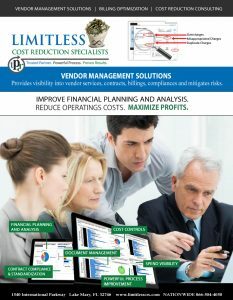 *The average user uses their iPad about two hours a day and accumulates either 14 hours of indoor light (windows, lamps…), one hour of sunlight (dashboard, windowsill…), or a combination of both per day. 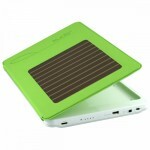 The Kudo iPad solar case brings in a constant trickle of energy throughout the day. Sunlight is much stronger than indoor light but we know our electronics are typically indoors, the Kudo is capable of drawing energy from the home or office as it continues to work even in low light environments. More light and less use means longer iPad time, conversely less light and more use means less iPad time before charging the old-school way. A lifeguard that only uses their iPad solar case a little may go weeks or months without needing a charge but an Internet junkie living in a basement may only go a few days. We will be posting full technical specifications of this solar iPad case on this site soon.